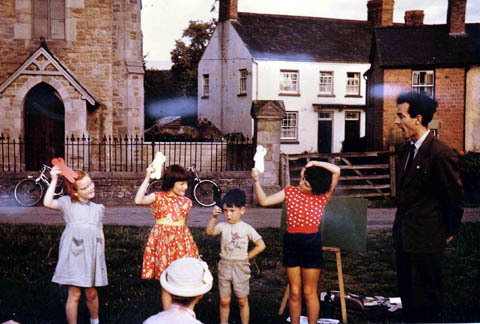 Who, amongst those of us who grew up in Glasbury during the fifties, could forget Sunshine Corner! Glasbury Sunshine Corner is the place for me! We were asked questions relating to the bible stories and were rewarded with sweets for a correct answer. One year (I think it was 1958) there was to be a prize for the most attentive listener – and the copy of “The Child’s Pilgrim’s Progress” is still on my book shelf! I know that we all enjoyed Sunshine Corner – but, in my case, I think that the sweets were the big attraction!